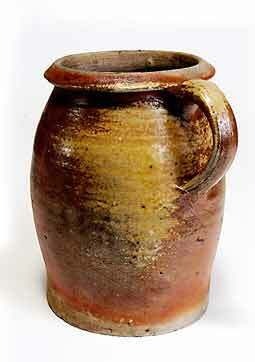 Old stoneware pot with handle - 6¾" (171 mm) high. We don't know what this did for a living when it was young but it spent the last years of its working life as a measure for chicken feed. It is now a full-time resident of the Pottery Studio Rest Home for Old Pots.